With the multitude of options available today, it’s no wonder that many e-commerce business owners are confused about where to start advertising their online store. From Google to Facebook, Bing, LinkedIn, Twitter, Instagram, and much more, it seems like the list of available platforms is never-ending. On top of that, each platform has several different advertising options. If you’re an e-commerce entrepreneur who doesn’t have the time to thoroughly research each platform and determine if it’s right for them, a quick examination of your businesses’ product types and goals can help you narrow down the list. Let’s take a look at a few types of e-commerce businesses and the platforms and ad campaign types that might be most suitable. How can you advertise 1000 different products without actually creating ads for each of them? Google Shopping! With Google Shopping, advertisers create a feed which grabs product information from their website (prices, quantities, product descriptions, images, etc) and advertises them directly on Google. It can save countless hours when compared to traditional search advertising for product-heavy websites. Since Google pulls product descriptions and images directly from your website, it’s important to ensure that these are engaging and up-to-date. Dynamic Remarketing through Google and Facebook is another option. Dynamic Remarketing is a type of display advertising where users are shown actual products they visited on your website while browsing another website. Again, since a feed is used, advertisers don’t have to manually create ads for each product. Maybe you’re a new business who just wants to get the word out to a group of people who have related interests. Both Facebook and Google offer interest targeting. Facebook allows advertisers to really get specific and even target users who have liked pages related to certain events. 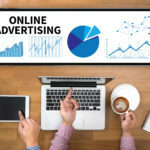 Google Display Ads, targeting users with specific interests, is another option. If you have a physical location, and you’d like to encourage walk-ins while also advertising your website, consider Google and Facebook’s radius targeting. Radius targeting is a type of location targeting that allows advertisers to target users within a specific radius of a point location. It’s even possible to use several point locations and target users within a different radius around each. While B2B e-commerce companies will often fit into one of the categories above, they should also consider LinkedIn advertising as a way to reach potential clients. LinkedIn allows advertisers to target users with a specific job title, among several other characteristics, which can be a goldmine if you’re looking for business owners within a specific industry. 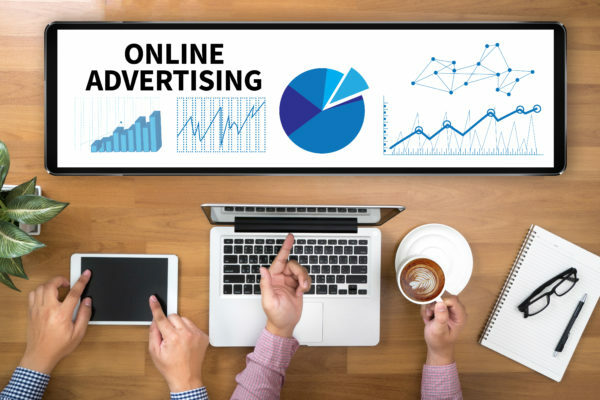 Even if you know what platforms and campaign types to start with, actually setting up effective campaigns and continually monitoring and optimizing them can be a momentous task that most small business owners won’t have time for. Numinix’s partner company, Trek Marketing, specializes in online advertising for small and medium-sized e-commerce companies. If you’re looking for help with advertising your e-commerce business reach out to Trek Marketing today. How Can A Sitemap Help Your SEO? © 2019 Numinix. Powered by Zen Cart.